The dry weather and powerful winds of California combine to threaten America’s most populous state with frightening wildfires that seem to appear out of nowhere, taking on a violent and devastating life of their own. The fires that suddenly broke out in Northern California on October 9, 2017, have resulted so far in dozens of deaths, and untold financial loss – one of the worst fires in recent memory. Unfortunately for Californians, wildfires in summer are a potential threat to life and property every year. Santa Barbara, Calif. (AP) – A massive, uncontrolled brush fire yesterday killed one firefighter, burned 34 others and left scores of homes destroyed, including the mansions of educator Robert Maynard Hutchins and the Olympic Games’ Avery Brundage. Some 1,800 firefighters braced for the predicted return of hot wind form the interior – the so-called “devil wind” of California lore. Wednesday night it whipped the fire to spreading fury and caused mass evacuations of more than 5,000 from their homes. The Forest Service, after helicopter surveys yesterday, reported 78 homes destroyed. They ranged in value from $12,000 to the $100,000 – $200,000 residential palaces in the exclusive suburb of Montecito. Brundage’s home was likely at the $200,000 range. But what caused him particularly heartache was the loss of his art collection. Famed for his expertise in Asian art, Brundage had such a huge collection that he needed to find new homes for it. A good part of it ended up in the Asian Art Museum of San Francisco, which is fortunate, because around a thousand pieces were destroyed in the fire. Guttman explained that Brundage’s wife was already in Tokyo awaiting her husband, and that Brundage’s friends in Japan were doing everything they could to keep the news of the fire and their home from her. Brundage arrived in Tokyo, filled with ambivalence, keeping the sadness at bay from his wife, and preparing himself for the opening of Asia’s first Olympiad. It was headline news, literally. For example, the front page of the Riverside Daily Press on July 24, 1935 blared across the full length of the front page, “Gay Cocktail Parties Result in Dismissal of Eleanor Holm Jarrett”. Holm was the Olympic champion in the 100-meter backstroke, having won gold convincingly at the 1932 Los Angeles Games. Married to a jazz band leader, Art Jarrett, and very much used to the life as a celebrity, Holm did not take to the third-class accommodations on the SS Manhattan, which was transporting the US Olympic team to Europe and the Berlin Olympics. According to The Book of Olympic Lists, by David Wallechinsky and Jaime Loucky, Holm – a veteran of two Olympiads – she wanted to be where the officials and the press were: first class. When an executive of the company that owned the SS Manhattan invited Holm up to first class for a party, the only Olympian invited, she of course said yes. Quick to accept, she stayed up until six a.m., matching drinks with the sportswriters. She had to be helped back to her cabin. The next day there was much joking and wisecracking among the non-Olympic first-class passengers about the “training techniques” of the US team. Embarrassed US Olympic officials issued Holm a warning, but she was defiant and continued to drink in public off and on for the next few days. When advised by friends to moderate her behavior, she reminded them that she was “free, white, and 22”. Wallenchinsky and Loucky described further examples of Holm’s drunken adventures on the SS Manhattan. On the evening of July 23, shortly before reaching Europe, the ship’s doctor found Holm “in a deep slumber which approached a state of coma”, which he diagnosed as acute alcoholism. The next morning, the American Olympic team manager woke Holm up and informed her that American Olympic Committee had voted to remove her from the team. The next day, the press included the official announcement from Avery Brundage, the US Olympic Committee chairman. “Mrs. Eleanor Holm Jarrett has been dropped from the Olympic team and her entry has been withdrawn on account of violation of training rules. I wish to emphasize that there is no reflection in any way upon the entire team.” According to the press, Holm was requested to return to the United States. Unfortunately for Brundage, Holm was immediately hired by news gatherer, the Associated Press to write a column, presumably about anything she wanted (presumably since she felt her Olympic career was over and her amateur status no longer a requirement). With press credentials, Holm was in Berlin to stay, and with her star power, she was at all of the biggest social gatherings. According to Holm in the book, Tales of Gold, Brundage didn’t like playing second fiddle to her. A funny sidelight to Brundage kicking me off the team was that I was invited to everything in Berlin, and he would be there, too. He would be so miserable because I was at all these important functions. I would ignore him – like he wasn’t even alive. I really think he hated the poor athletes. How dare I be there and taking away his thunder? You see, they all wanted to talk to me. Holm said she hung out with Herman Goering, and regularly got autographs from Adolph Hitler. She claimed that famed documentarian, Leni Riefenstahl, filmed her in the pool, although that footage was apparently left on the cutting floor. Despite the socializing, Holm wrote that she trained every day just in case she was reinstated to the team. In the end, however, Brundage would not budge and the world watched a Dutch woman named Nida Senff win gold in the backstroke. Holm would go on to divorce Jarrett and marry a man named Billy Rose, who produced a hugely popular music, dance and swim show called Billy Rose’s Aquacade, where she would become an even brighter star, swimming with fellow Olympic champions Johnny Weissmuller and Buster Crabbe. Holm passed away in 2004 at the age of 90, her star dimmed by the passage of time. But in the mid-20th century, during the Depression and War years, there were few brighter stars than Eleanor Holm. On December 2, 2016, Donald Trump took a phone call from the president of Taiwan, Tsai Ing-wen. She was simply offering her congratulations to the American president-elect. And yet, this simple phone call established the possibility of a radically different Sino-American diplomatic relationship. In fact, it was 38 years ago today (December 15) when then President Jimmy Carter officially recognized The People’s Republic of China, and Beijing as the sole government of China. A year later, the US cut off ties with Taiwan. But in the 1950s and the 1960s, neither the People’s Republic of China (PRC), nor The Republic of China (ROC) in Taiwan were officially recognized by the United States. The International Olympic Committee, however, recognized both. The IOC invited the PRC and the ROC to the 1952 Helsinki Olympics. The ROC withdrew in protest of PRC’s Olympic debut. In subsequent Olympics, the ROC decided to participate, so it was the PRC’s turn to boycott the Games, which they did until 1980. In 1952, the president of the International Olympic Committee (IOC), Avery Brundage, was viewed by the PRC as a puppet of the United States. Brundage was the president of the IOC in the 1950s and 1960s, and had to deal first hand with the China issue. As the head of the Olympic Movement, and thus symbolic proselytizer of the Olympic Charter, Brundage wanted to “contribute to building a peaceful and better world” by ensuring as many different nations participate in friendly sports competition. In his mind, he needed a logical way to bring both the PRC and the ROC to the Games. To that end, he got the IOC to vote and approve a decision that would force the ROC Olympic Committee to change their name from The Republic of China to either Taiwan or Formosa, which is another name for the island of Taiwan. According to David Maraniss and his seminal book, Rome 1960: The Olympics That Changed the World, Brundage’s argument was that the smaller ROC was in effect not able to represent the vast majority of China. Brundage and the Marquess of Exeter, the strongest Western proponent of the name change within the IOC, said it was a practical decision arrived at free from ideological pressure and without political overtones. The political act came from those who insisted on calling it China when it was not China, they argued. “We cannot recognize a Chinese committee in Taiwan any more than we can recognize an Italian committee in Sicily or a Canadian committee in Newfoundland,” Brundage said. Brundage was a puzzled man. He believed himself to be a staunch anti-communist. And yet he found his name bandied about in the press as a communist sympathizer, with calls for his resignation from the IOC. But Brundage remained in role. The ROC competed as Formosa at the 1960 Olympics, and Taiwan at the 1964 Olympics. In 1979, after the United States officially recognized the PRC, the IOC recognized the Chinese Olympic Committee from the PRC, and passed a resolution that the ROC team from Taiwan be designated Chinese Taipei at subsequent Olympics. So you can understand why Taiwan hasn’t felt all that respected in the latter half of the 20th century. And this has continued despite the fact that Taiwan emerged as one of the great Asian economic stories in the past 30 years, and is currently the 22nd largest economy according to the IMF. So the phone call that was accepted by President-elect Donald Trump was not just a simple courtesy call. For the tiny island nation of Taiwan, aka The Republic of China, it was a gesture of respect and recognition. You can bet, though, this political football game is far from over. They stood there casually, one barefoot, hands on hips, the other in thoughtful repose, right hand stroking the chin. You would think they were waiting for the bus. But Wayne Collett and Vince Matthews were actually standing on the winners podium at the 1972 Munich Olympics, their medals for their silver and gold medal finishes in the 400 meter sprint around their necks, and the American national anthem playing. Avery Brundage, the president of the International Olympic Committee, viewed the behavior of Collett and Matthews as abhorrent and immediately banned them from the Olympic Games. 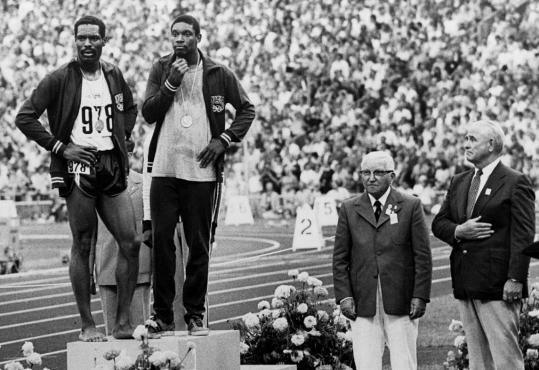 This may have seemed like déjà vu to Brundage as he had made the same decision four years earlier in Mexico City, when Tommie Smith and John Carlos accepted their medals after the 200 meter finals, and raised their black-gloved fists into the air, reflecting their anger at the state of race relations in America. The day after Brundage’s decision to kick Collett and Matthews out of the Munich Olympic Village, a white bed sheet was suspended from the windows of the American team’s dormitory. According to Ollan Cassell in his book Inside the Five Ring Circus, the bed sheet read, “Down with Brundage”. Cassell reveals that the person who dropped this flag of protest was Vince Matthews. The head coach of the US track team at the 1972 Munich Olympics was Bill Bowerman, the legendary coach at the University of Oregon. With Smith injured and Collett and Matthews suspended, he knew he would not be able to field a 4X400 relay team. 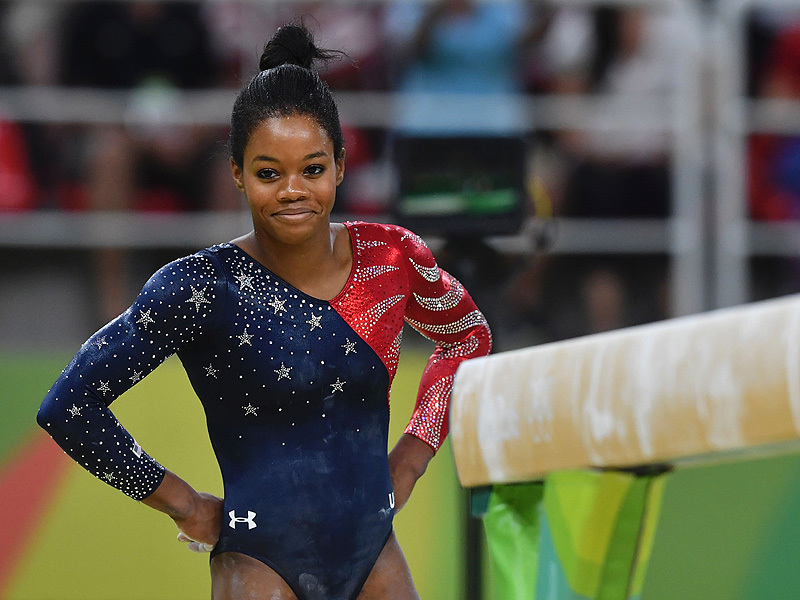 Clearly the men would have been a near-lock for gold if not for the suspensions. According to Kenny Moore’s book, Bowerman and the Men of Oregon, Bowerman was upset with the behavior of Collett and Matthews, but he did not believe they deserved to be suspended. So Bowerman said he would talk to Brundage the next day and see if an apology might convince Brundage to change his mind. Bowerman did meet with Brundage, and despite the fact that Palestinian terrorists had just broken into the Olympic Village and taken Israeli athletes hostages, Bowerman and Brundage were able to manage a discussion on Collett and Matthews. And as related in Bowerman’s biography, Brundage accepted Bowerman’s apology on behalf of his athletes and accepted their reinstatement on condition that the USOC agreed. And so, Collett and Matthews were suspended and the heavily favored 4X400 relay team never made it on the track. She was a 14-year old, and yet an artifact of colonial Asia – the daughter of British parents representing Singapore in The Asian Games. When Mariana Jolly was asked to join the national swimming team to represent Singapore at the Asian Games, she had no idea that she would catch the attention of the most powerful man in Indonesia. Little did Jolly know that the Asian Games they joined ignited the heated feud between Indonesia and the IOC, resulting in the last-second decision by Indonesia and North Korea to boycott the 1964 Olympics in Tokyo. Post-war, post-colonial Asia was a mess, a political vacuum, a time of economic experimentation that led to social upheaval. In the midst of those turbulent times, Malaysia emerged as a new nation in 1963, bringing together the British colonies of Malaya, Singapore, North Borneo and Sarawak. Indonesia in the early 1960s was an emerging political power in Asia, led by that country’s first president, Sukarno. Leading the fight against the colonial rulers from the Netherlands, Sukarno was imprisoned by the Dutch rulers, freed by invading Japanese forces in 1942, and then appointed President of Indonesia when Japan surrendered to the United States and the allies at the end of World War II. After decades of fighting Dutch colonial rule, Sukarno was anti-imperialist, and by extension, anti-West. While he did secure billions of dollars in aid from the United States and the Kennedy administration, Sukarno cultivated strong ties with the People’s Republic of China (PRC) and the Soviet Union. And to reflect Indonesia’s growing power and influence, Sukarno won the rights to hold the Asian Games in Jakarta in 1962. The Asian Games is held every four years like the Olympics, and brings together the best athletes of Asia. In 1962, the participating countries included the PRC, which was boycotting the Olympic Games, as well as nations in the Middle East. Sukarno decided to make a statement – he would not invite athletes from Israel, which was the enemy of so many of Indonesia’s allies in the non-aligned world, nor athletes from Taiwan, which the PRC did not recognize.